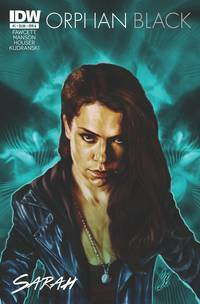 Orphan Black #1 took the top spot in February’s direct comic book sales according to Diamond Comic Distributors. Marvel Comics had seven comics in the top ten, led by Kieron Gillen and Salvador Larocca’s Darth Vader #1 at #2, and was February’s top publisher with a 38.44% dollar share and a 39.33% unit share. DC Entertainment, with Scott Snyder and Greg Capullo’s Batman #39 as their top comic at #5, had a 25.91% dollar share and a 28.15% unit share. Image Comics was third for the month with a 10.51% dollar share and a 10.61% unit share. 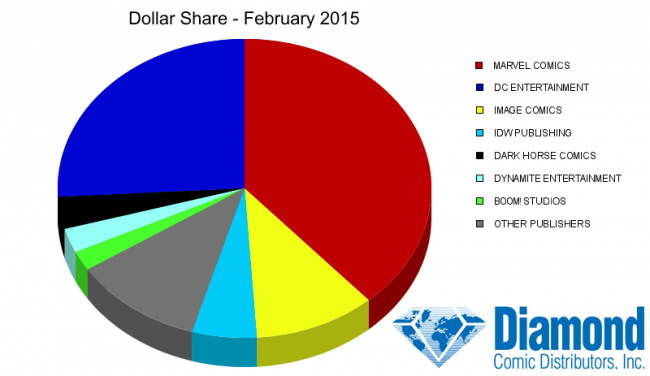 IDW Publishing came in fourth with a 5.57% dollar share and 8.06% unit share. In fifth was Dark Horse Comics with a 3.48% dollar share and a 2.66% unit share. What does all this mean? For the direct market, individual comic sales were up nearly 6.5% compared to last month, while comic sales were up over 20% from this time last year. This means overall comic sales continue to climb compared to last year. The first two months of 2015 were 15.20% higher than the same period of 2014.